I bought this recently, and I'm so happy that I did! Some of my lipsticks, such as Mac, are very similar looking on the packaging, and the only difference is the number of the lipstick on the bottom. So being able to store them like this, makes it quick and easy to find the one you're looking for, rather than rummaging through a make up bag full of them! I'm probably gonna have to order this dress! It's just like the polo neck dresses that everyone seems to be wearing, and they go perfectly with chunky necklaces, but this one also has cut-out shoulder detailing for an added touch. It's such a bargain price too, it would be rude not to! I'm sure you can get these alot cheaper to be honest, but this eBay store seems to have them in every size and colour. I'm really tempted by the black pair (as my ones from last year broke) and the glittery clear pair too! This product comes in red, pink, blue, silver, gold and coral. I would like to try it in pink, red and gold. It would look so cute on a Valentines Day date! It seems to sell out really quickly on eBay and this is the first time I've seen them all in stock so grab it quickly while you can, I might have to make a cheeky order for myself too! So here are what they look like in real life. My best friend Courtney is a Mac make up artist, so I bought here the lipstick holder too. How cute do they all look together?! Would you like to see more eBay finds posts? 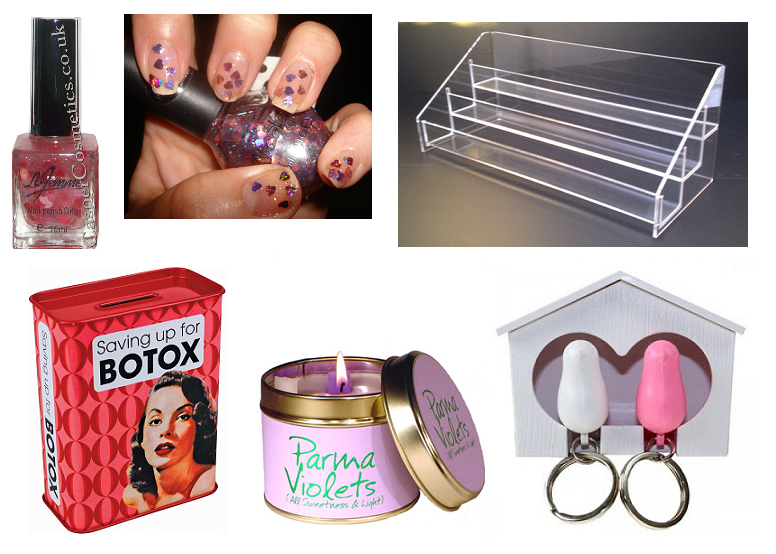 Have you managed to find yourself some eBay bargains recently? Let me know if you'd like me to try and find you something you've been searching for too! I absolutely love your bargain hunting! I found a Parma Violets soap on ebay the other day for only £2.30 including p&p! I have also fallen in love with that dress and cuff bracelet above! You've found some right good bargains there! I've been looking at them studded flat forms for months now, they are so nice, are they comfy to wear on a night out? I love the cat watch and it's such a bargain! The biscuits coasters are amazing and I love those studded wedges, too. Oooo I want me a lipstick holder and those wedges/flat forms are gorge! 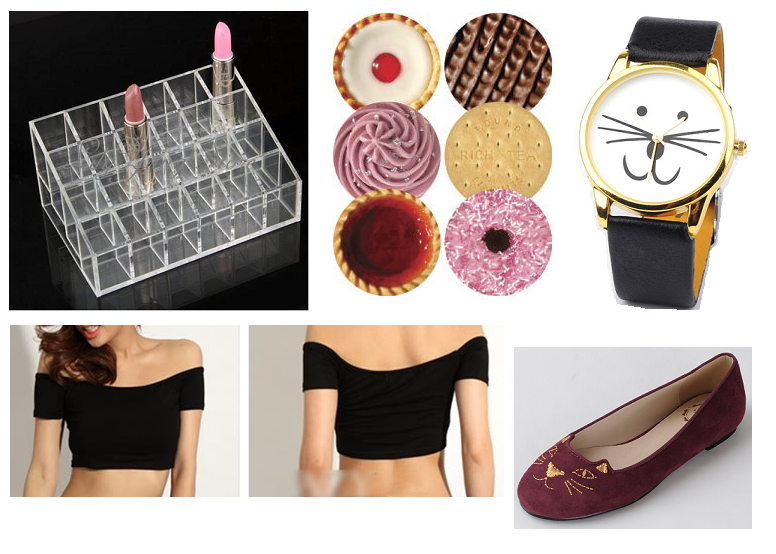 You found some amazing things, love the crop top, watch and jelly shoes! the cat watch is too cute! Win A Free Piece From Oasap on my blog! LOVE those wedges! I recently bought some white wedges off ebay too! Such a wonderful haul - so many beautiful things. 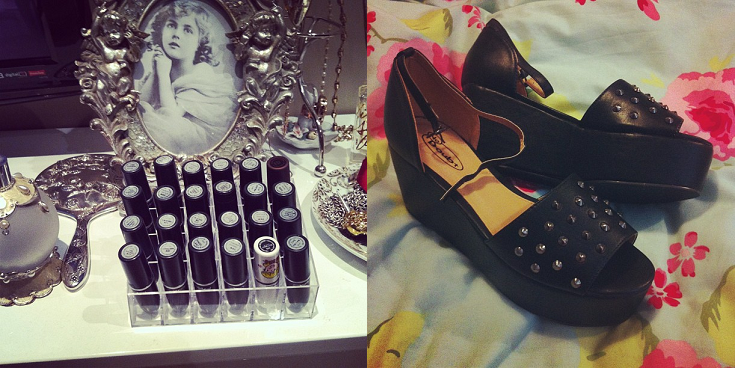 love the post, that studded shoes are so pretty! That cat watch is so cute. Interesting to see how some of your picks look in real life too... I actually think those studded wedges look better than in the stock photo. Love I want that nail polish holder!! Great post! amazing finds, i love the watch, so cute! oh wow amazing finds def keep it up!!! ah i really love these finds, those jelly shoes are beautiful!